Built as a private art museum in the 1920s, this Japanese palace is a spectacular structure with extraordinary views of Hollywood. For years, it was a beautiful building in which to eat bad food, but Jason Park's new kitchen team has made a major difference: the restaurant is now worth a look even if you don't get a table with a view. Japanese, Korean and Chinese traditional items are presented alongside sensible and occasionally daring fusion ideas. 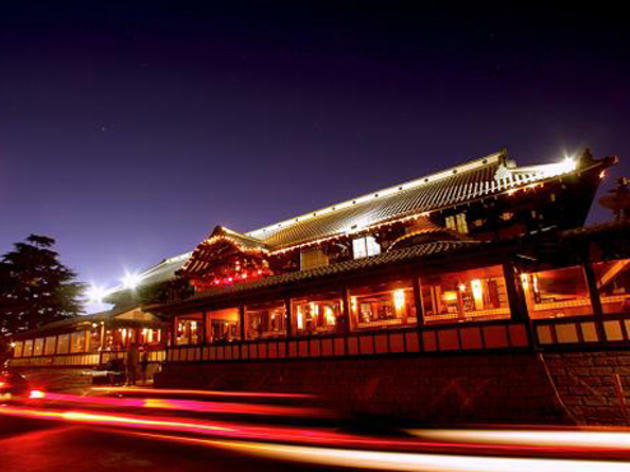 There's been a recent change in ownership after much tabloid furor, but hopefully it all ends with Yamashiro being refreshed and revitalized...emphasis on hopefully. 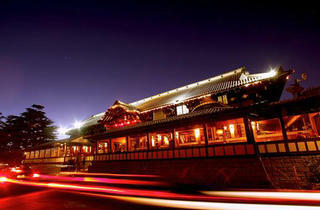 Currently, Yamashiro is a pricey affair for fairly middle of the road food and drinks--but the setting can't be beat. Filled with history and perched on a hill, the best parts of Yamashiro are exploring the grounds and the historic building in which it resides. Go while you still can--who knows what (and when) will take up residence in the space in the future. Hopefully, they do justice to the grounds that Yamashiro hasn't been able to utilize. The hillside is filled with spaces that could be used as patios and are instead valet; staircases are roped off due to lack of maintenance--and how has no one created a chic little store hidden away down the hill to capitalize on merchandising opportunities? There's so much potential here. Whether you're just looking to check a classic LA local off your list, or a unique date spot, definitely check it out (at least once). Yamashiro is a palace perched on the top of a hill in the Hollywood Hills and offers some of the best views in Los Angeles while enjoying great food. The Asian BBQ Baby Back Ribs are to die for! !